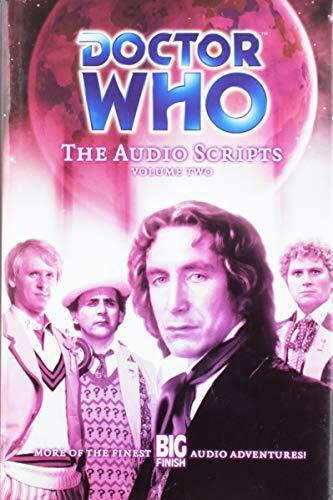 Since 1999, Big Finish Productions has produced the official audio adventures of <i>Doctor Who.</i> This book presents the original scripts for four of Big Finish&#x2019;s most popular audio plays. This collection includes <i>The Eye of the Scorpion, The One Doctor, Dust Breeding,</i> and <i>Seasons of Fear. </i>Each book also includes exclusive interviews, rehearsal scripts, annotated scenes, notes from the director, and more. Uncle Hugo's started in 1974 and Uncle Edgar's in 1980 in different store fronts. Both stores moved into our current location in 1984. Customers from all over the world tell us that we have the largest selection of new and used science fiction, fantasy, and mystery books of any bookstore on the planet. Most of our tens of thousands of used books are reading copies, are priced accordingly, and we probably won't get around to entering them here--but we do accept want lists. All books subject to prior sale. Books returnable within 14 days only when book is improperly described. Payment by Mastercard, Visa, Discover Card, checks, money orders in U.S. dollars. Uncle Hugo's Science Fiction Bookstore and Uncle Edgar's Mystery Bookstore are sole proprietorships owned by Don Blyly, located at 2864 Chicago Ave. S, Minneapolis, MN 55407, USA. E-mail: UncleHugo@aol.com ,phone 612-824-6347, fax 612-824-6394.